This Meditation Experience was about putting intention into the life you want to lead – Intention into Reality; Plans into Actions. It included aspects of correcting or releasing old beliefs (untruths), emotional hurts, resentments, and limiting habits. It focused on accepting the uniqueness that is you…your strengths, your values, your talents, your creativity. Both messages were very relevant to my personal development at this stage of life. Life is a joyful journey. I make conscious choices with awareness of my values, my authentic self (strengths, essential nature), and my desires (vision). Awareness is the KEY. In the (re) awakening of awareness, we activate the latent energy, creativity, and fulfillment within. The vision is not the path. The path is not the journey. Have the vision. 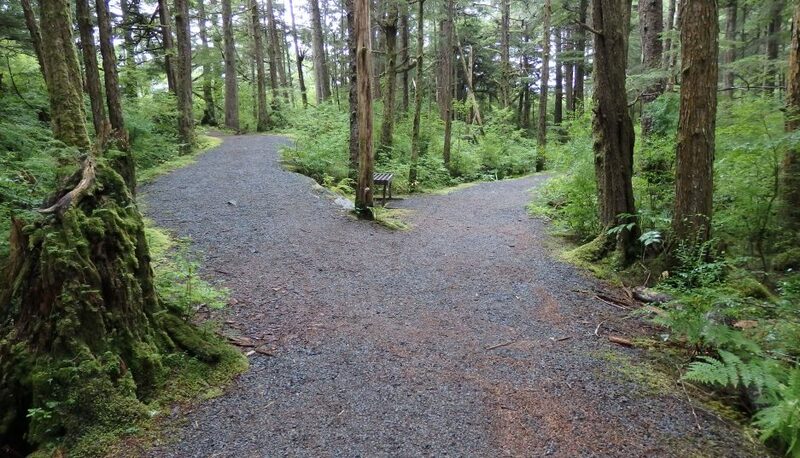 Lay out the path. Live the journey. You cannot fail at being yourself. Your whole self; your authentic self. You only need to meet your own expectations. You only need validation from yourself. This is inner freedom. When doing things in alignment with my core values, it means I am doing what I am “supposed to be doing”! I am being me. Full Awareness – Focus on the now, be in the present moment. Complete tasks with confidence. Do activities with focused attention and a link to values versus as a distraction. Active journaling (self care), daily crosswords (thinking), social media surfing (connections), doing bills (financial security). Distractions simple cause avoidance of the present moment, illusion of doing something. No tedium, no plodding though life….thrive by living in the moment. Routine does not need to be lethargic (energy depleting)… routine can be energizing (energy enhancing). Create more healthy routines! Release the sedentary lifestyle. Channel mental energy to harness creativity within. Have that Planned Spontaneity list (back of the mind options on paper)! Dynamic resilience is the integration of stability (plans, routines) and adaptability (spontaneity). Listen for the inner voice that says, “try this”. Look honestly at patterns of denial and avoidance. What beliefs are underlying in those patterns? Make sure your core beliefs are positive, life affirming, and energy supporting. You are what you think! Core beliefs turn (subconsciously) into action – what I do and what I say is based on what I believe. Do I believe life is fair or a struggle? If you think life is a struggle, it will be. Am I living in constant fear or with constant guilt? Do I accept compliments or am I self-depreciating? Do I believe I am a good friend, a loving spouse, or a responsible individual? Do I have a positive body image? Don’t get stuck in old (repeated, negative) story lines! Create the new story and add to it everyday. Not with the weight of the past, not with worry about the future… but living your true self today. Recognize the value of my life experience – my wisdom. On a scale of 1 to 10, do you have the energy to do everything that you need to do? Find the stillness in journaling, yoga, and solo walks. Build & maintain a wide social support system. Nurture close relationships with friends, family, and my wonderful husband. Good sleep and daily movement. Life long curiosity and a willingness to take on new challenges. Have you done any of these on-line meditation experiences? What was your reaction? I practice daily meditation, Pat, but have not tried a course before. Some days I do 10 minutes of silent meditation; other times I use an online guided meditation series. Your list of energy enhancing activities spoke to me. That’s my definition of wellness in a nutshell. I have not yet gotten into daily quiet meditation, but I do enjoy my daily journaling. You might enjoy these free meditations when they are available. MaryLou – Isn’t that an empowering set of words? I’ve been struggling with self-acceptance and the concept of freedom… so putting that series of statements together really helped me. Did you do this most recent experience as well? It was by far my favorite one to date. Yes, not all of the days though. I’m not really a meditation kind of girl – I do pray though and I find that giving my thoughts to God and aspiring to be the woman he sees me as, is a great help. I know what my core beliefs and values are and I hold on tight to them most of the time. Midlife for me has been a time of centring down on those beliefs and not being swayed by others – being true to ourselves is a beautiful thing isn’t it? My husband and I try to meditate together every day. Sometimes we use guided meditations like the Chopra ones or sometimes we just use the app Insight Timer which helps us to set aside time. I like the different singing bowls or gongs you can choose to take you into and out of meditation. How lovely you and your husband do this together! If I decide to explore quiet meditation more intentionally, I’ll look into that app. Thanks for telling us about it! Leanne, I personally think prayer is a form of meditation. Just like I think my active journaling is a form of meditation as well. It’s not the silent, chanting Om type, but it is, as you put it, a way to help center on our core values and beliefs and be true to ourselves. What I liked about this meditation experience was not the meditation, but the empowerment to just be me. I loved the phrase “you cannot fail at being yourself”! And yes, I need to have a higher opinion of that person as well. ..not be so judgmental of her. 🙂 Thanks for sharing… and thanks for hosting #MLSTL. Nearly 6 years ago, I was writing my second blog and met a writer who introduced me to Zen. That opened incredible doors for me and, frankly, scared the s*** out of me, because I was realizing that so much I believed was untrue. The journey led to a life coach, to a cross-country move, to a yoga teacher, to a therapist, to a career change….We will see where it leads next! Continue down your path, and be open to where it leads! Bethany, Thanks for your encouragement! I’m not always secure on this path I’m on, but I am trying to live the journey with joy! Sue, I’ve done 3 now and I liked this last one the best. I’m not 100% into them, but I do like the daily inspirational element. There’s a “DailyOm” site I’m exploring for the same thing. It’s a bit like your 25 days thing… something each day to think on. The fact it was only 21 days long actually helped me….I didn’t feel like it was that big of a commitment! When I hear of another, I’ll let you know. Maybe that time will be right… but if not, that’s OK too. I haven’t, but it sounds really interesting. Thanks for the info. Shared. I started the year with intentions to meditate – and did do ok for a few weeks…then I forgot to continue. And yes, I truly forgot. So much for living with intention. I do, however, think I’d benefit from it – indeed I did while I was doing it. My brain is so full of monkey chatter that it needs to be quietened and focused. Jo, Isn’t it interesting how intention doesn’t necessarily turn into action. I’m not at all sure how I finally managed to continue some of the meditative habits I started – notably my morning journaling and regular yoga. If I knew that trick, I’d apply it to other habits I keep intending to start! Thanks Pat for a great post. I’ve never had any success with mediation, but then again, I’ve also never had any real guided instruction. As my recent art classes have proved, good instruction makes the impossible possible. I had a bit of an aha moment reading this. I’ve always struggled with the seemingly contradictory messages between having a vision and plan vs living in the moment. Your post merged these concepts together. Without a vision and a plan of how to accomplish it, living in the moment each day is just existing. With a plan, living in the moment is all about really owing that stage. Thank you – this really helps with how to deal with the negative self-talk that’s often going on in my head. Joanne, I adore the idea of “owning your stage” . There was a Alice in Wonderland quote I had on my desk for years about if you don’t know where you want to get to, it doesn’t matter which direction you head. It always made me think of being lost in the woods and going in circles. I do believe that living in the moment can be consistent with having a plan…as long as that plan is flexible. And I’m trying to be more flexible. I think this is why the idea of having a vision, laying out a plan, but living in the moment was so compelling to me. I too love that quote about if you don’t know where you want to get to, it doesn’t matter which direction you head. It too makes me think of being lost – a feeling I don’t like at all! Not one to try online meditation — but practice different types of meditation for many years. Now more off and on. I love your scale for thrive, struggling, and suffering. Thanks for sharing so many insights! Janet, isn’t that measure of thriving wonderful? I sent it to Sue (Sizzling Sue) immediately! And I like the idea of different types of meditation – from you and Kathy. Maybe I do practice meditation! Kathy, your recent post was the best rational I’ve read for doing meditation, so I am planning to try it again. The true stillness kind. I do the journaling kind, the yoga breath kind, and the walk in nature kind. I like how you point out that these are ways to meditate also! I have not done any of the online meditations. I am not a practitioner. For goodness sake, I don’t even do the breathing exercises served up by my Apple Watch. Ha ha. For some reason, the practice of meditation has never really grabbed my attention or interest. I’m not sure why. I think part of it may be me having such a hard time emptying and quieting my mind in preparation for such an exercise. I have tried yoga, though it is Tony Horton’s P90X yoga which may be a little more intense. It is a 90 minute workout that leaves me sweating and breathless and includes moves and positions that are hard for someone who is 6’2” and 260 pounds to achieve! There is one called “Crane” that is just not happening! Nope. Congratulations on continuing your quest and being so persistent in your exploration. Bob, there are quite a few yoga positions that are not happening for me either. I was in a class awhile back and in one position, the instructor said “now put your foot behind your head” and most of the class just cracked up. None of us came close. I personally like a power yoga myself. And this meditation experience for me was more about the 5-7 minutes every day of inspirational messaging. I too struggle with the stilling the mind completely, even in yoga. I’ve heard the benefits of true meditation and maybe I’ll be able to get into it someday. Just hasn’t happened yet. This is a timely post, Pat. I just signed up for a meditation app called 10% happier. I have been meditating every day for the past 10 days. It is helping me deal with anxiety and worry. It is helping me notice these feelings and others, as an observer without getting so caught up in them. I used to meditate many years ago and found it helped then. My hope is it meditation will help me break mental patterns that are not serving me well. So far so good! Molly, what a great intention for your meditation – breaking mental patterns that are not serving. Transitioning into retirement is a great time to be doing that also! I like the idea of adding ‘intention’ into one’s life. Although I haven’t tried any on-line meditation programs, I have tried meditation – kind of not my thing. I do like the inspirational direction. Ingrid, I’ve not yet gotten into the meditation component of these experiences, but I do appreciate the inspirational component! This one spoke to me in many ways – very empowering! Funny you should say this – I’m working on a post about inspiration and noting meditation. Insightful … thanks! I’ll be interested to read your take on noting meditation!